The BEST WESTERN Palm Garden Inn is conveniently located with easy access to key area attractions and business locations including Little Saigon, Knott's Berry Farm and Disneyland. Free complimentary full breakfast every morning of your stay. Situated just off the 405 Freeway and only minutes from the world-famous Surf City USA® beaches, The Hotel Huntington Beach serves as the ideal central location for your Southern California escapades. This place close to Phuoc Loc Tho Asian Mall and close to the beach too! Located in the heart of Huntington Beach, Comfort Suites Huntington Beach is just minutes from the beach. The hotel offers free hot fresh savory breakfast daily and free high speed wireless internet. Santa Ana, where Little Saigon is located, is the biggest Vietnamese town in Southern California. It is located in Orange County, famously known as just OC. Phuoc Loc Tho Mall (Garden Mall) in Santa Ana draws a lot of travelers to come visit. There you'll find shopping for clothes from Asia, food and beverages like nuoc mia, pho and boba. Make sure you visit here before you leave Santa Ana to enjoy a world of Vietnamese town. Inside of Phuoc Loc Tho Mall, there is actually a shrine you can pray to. Here is Quan De. Visit him on the second floor. Free incense is provided for the shrine. As many Vietnamese-Americans know, Santa Ana is also known as Little Saigon. It is one of the biggest Vietnamese towns in the United Stations. Located in Orange County, you'll find a lot to do and a lot of places to dine at in Santa Ana. From Tom hum (lobster) dishes, great shopping and wonderful Vietnamese super markets, you'll find excitement in this city. 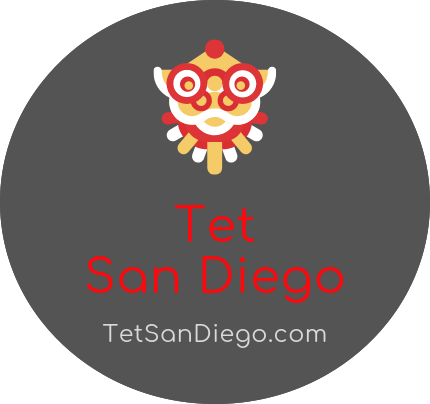 See all Tet Festivals in San Diego!